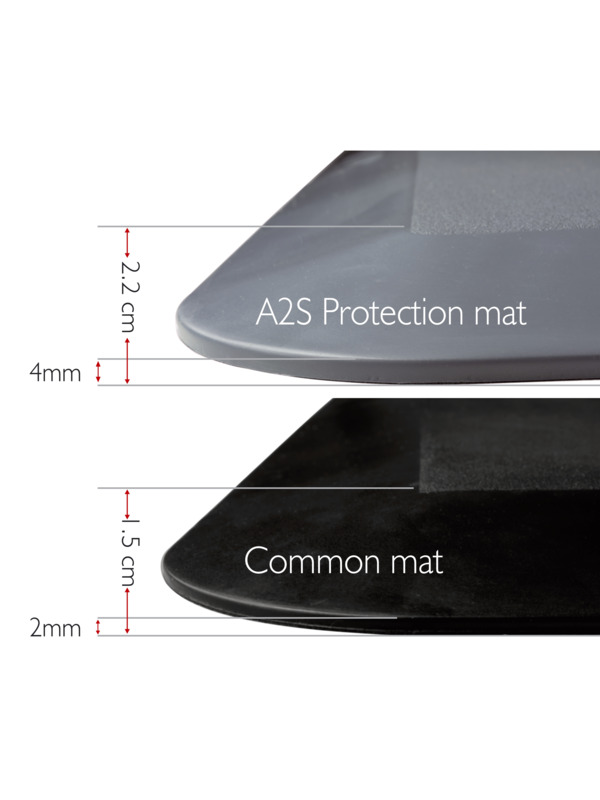 The essential anti-fatigue mat: It relieves pressure, reduces spinal compression and prevents pain in the back, knees, feet, heels, archs, hips and joints. It fits all standing posts: Ideal for domestic usage in the kitchen or bathroom as well as for professions that require standing in office desks, receptions, restaurant kitchens. Long-lasting and easy maintenance: Made from high quality material, this floor mat is waterproof and especially designed to endure spills and stains. Easy cleaning with a wet cloth. 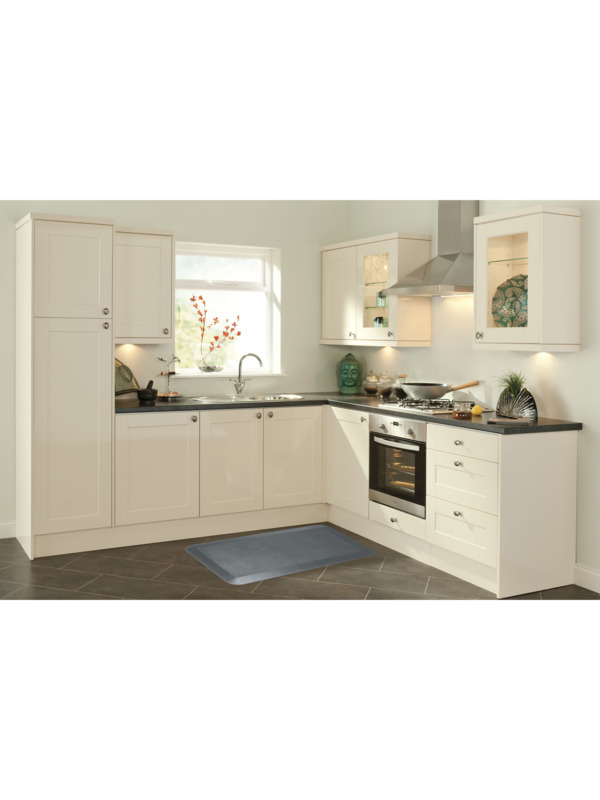 Absolutely safe to use: It remains steady without folding or bending on any type of flooring thanks to the anti-slip bottom. 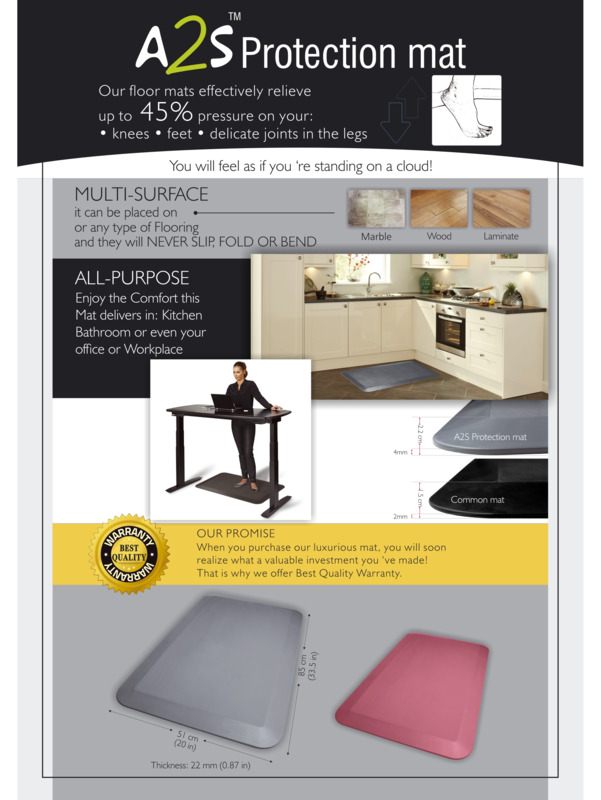 With a non-slip surface to avoid slipping even when it's wet. 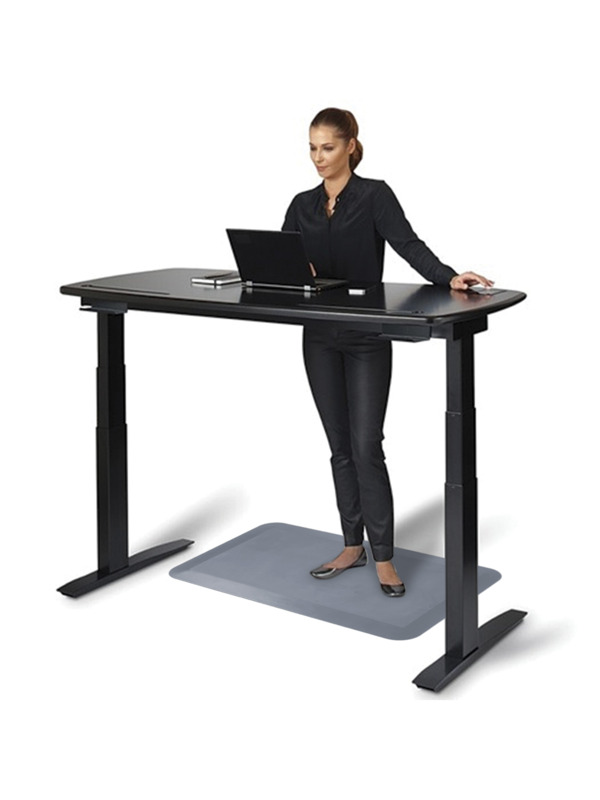 Optimal design: Thick and smooth to provide maximum support to your body while standing. 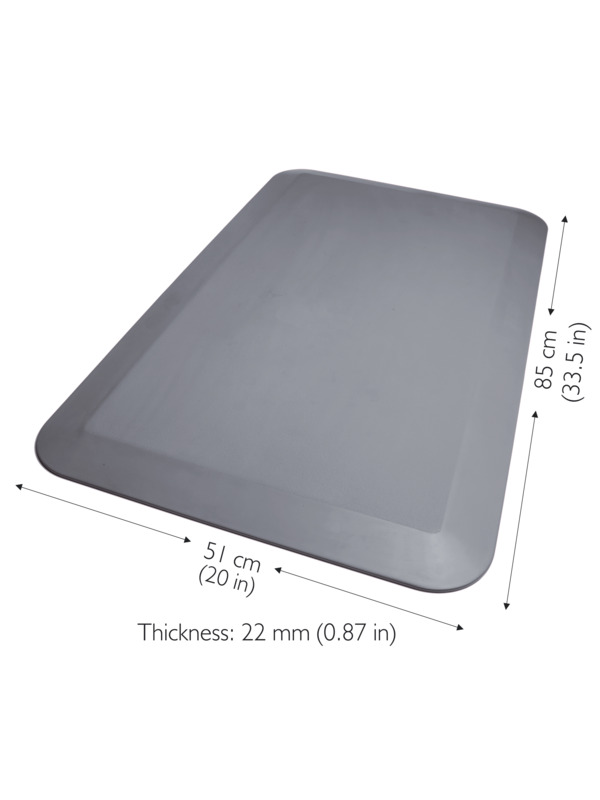 Ideal size to cover the desired surface. 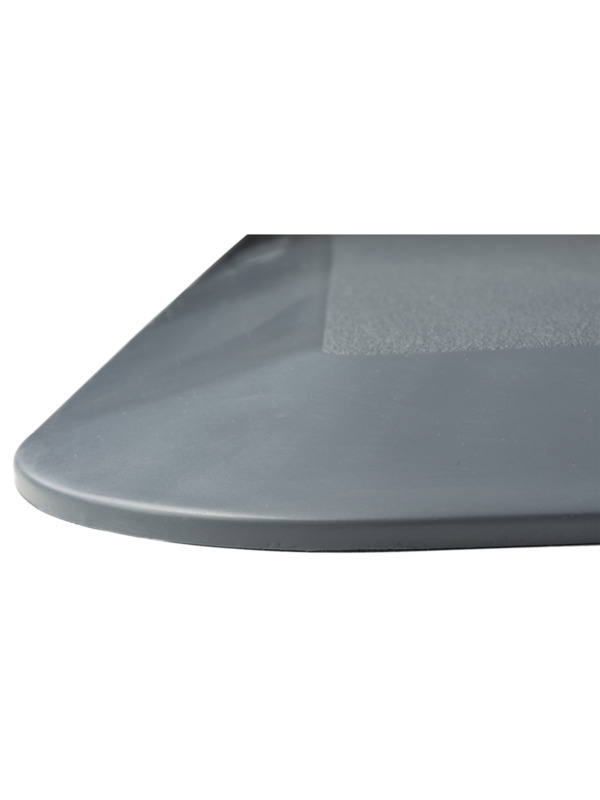 With beveled edges to prevent stumbling.